Beards may seem like an easier option than shaving but they still need extra love! We have some awesome tips and products to help you out. Before you shower, brush your beard out. That will detangle the hair and breakup any dry skin or build up. Once you are ready to shampoo and condition your hair, add your beard into the routine! It’s easy to forget that your beard needs that kind of love too. After its all fresh, clean and moisturized, you can comb it and dry it with a blow dryer or let air dry naturally. 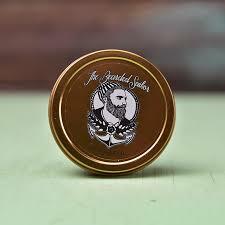 Beard hair can be very thick, coarse and curly so moisture is going to be your beard’s best friend. 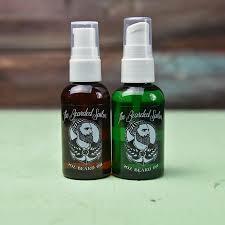 Products like Anchors Aweigh Bearded Sailor Beard Oil and Bearded Sailor Beard Balm will help with that! Last but not least, beard trims are a vital part of beard care. Not only can beards get split ends but they can also get unruly. Regular trims will help with controlling the shape you want and maintaining its health. Proper care will keep you and your beard looking trendy and groomed rather than scraggly and sloppy. We love your beard and want you proudly showing it off! Sun, sand, wind, water. These are things we may love at the beach, but our hair doesn’t. If you are going to the beach for vaca or if you are constantly living it up on the lake, we have a few tips for you to take care of your lovely locks. Hair is very absorbent and salt water is very harsh on the hair so before you get into water, pour fresh clean water over your hair. Your hair will absorb the clean water instead of the ocean, lake or pool water. That way you are not getting any harsh chemicals, minerals or grime into your hair. Whether your hair has been colored or not, the sun will lighten your hair color if you are outside for extended periods of time. Hats are your hair’s best friend to keep it safe from the sun, but if hats aren’t your style, our entire Eufora product line is UV protective. Tangles and tears taking over? Use a conditioning treatment and a wide tooth comb to get you back to where you need to be! Moisture shampoos and conditioners are ALWAYS a good idea anyway. To try to prevent tangling, a french braid will help keep your hair in place. The beach doesn’t have to ruin your hair! Just a few easy tips and tricks and you can keep your hair nice and healthy!